Electrical faults usually occur every now and then. A voltage spike in the grid, or the power supply in your home, can cause serious damage to your electrical systems. Over time, electrical wires usually get loose. Circuit breakers and fuses can also get damaged. 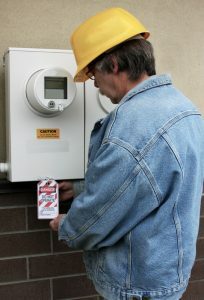 Whatever the problem affecting your electrical power system, the right person to call for help is a licensed electrician. Whether you are building a new home, installing a new garage or doing some home renovations, you will need a qualified electrician to handle all the electrical adjustments or modifications. For instance, you may need a new power outlet in the kitchen, bathroom or garage. You may also need power extended to the garage or garden shed. If you need electrical wiring services, be sure to call a qualified electrician to sort you out. Electricians are usually trained in every aspect of electrical power generation, transmission, distribution and use. This means that they are qualified to troubleshoot faulty appliances and carry out repairs. If your refrigerator, ceiling fan, electric oven, electric heater or any other type of electrical appliance in your home develops a problem, therefore, you can call your trusted neighbourhood electrician to carry out repairs. If you would like to improve the energy efficiency of your home, the first thing you will need to do is hire a licensed electrician to carry out an energy audit of your home. The electrician will add up all the power consumed by your appliances and recommend ways to cut down on your energy consumption. Some of the recommendations may include; installing LED lights, upgrading appliances and turning off the lights in rooms you are not using. However, only licensed electricians who have been certified to carry out energy audits should be considered. One of the best ways of reducing the carbon footprint of your home and saving money at the same time is installing solar PV panels. The panels will generate the electricity needed to light up your home and power appliances. Depending on your goals, a qualified electrician can design a solar power system that can match all your needs and carry out the installation. Home automation can help to boost home comfort and improve the energy efficiency of your home. For instance, you can install light-activated switching mechanisms for your lighting and irrigation systems. When the sun goes down, the system should turn on the lights automatically. The sprinklers should also come on when the sun goes down and irrigate the lawn for half an hour or so. If you need home automation, be sure to call a qualified electrician to design and install the home automation system.